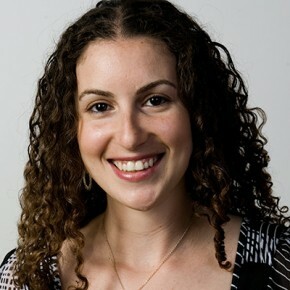 Liran holds a BA degree in Political Science and Israel Studies from Ben Gurion University. During her studies, she became interested in the topics of the status of Israeli women and the Israeli-Palestinian conflict. As a student activist she became involved in various student organizations; in the Hillel student organization, (which promotes religious and cultural pluralism), she initiated activities to promote the status of women on campus. She represented WUJS (the World Union of Jewish Students) in different delegations and conferences, and also volunteered as a young leader with One Voice, a grassroots movement that mobilizes the moderates from both Israeli and Palestinian society in order to promote the end of the conflict. Liran was also the coordinator for a professional course designed to encourage leadership and develop diplomacy skills among excellent students. Upon her return to Israel, Liran began working again at One Voice Israel, the Israeli-Palestinian NGO, as Project Manager of imagine 2018. As a Sauvé Fellow, Liran’s main project was learning about the different narratives of the Israeli-Palestinian Conflict. She attended related classes at McGill, public lectures, read relevant literature and was involved with a number of student organizations on campus. She also had the opportunity to participate in a humanitarian mission to the Jewish community in Cuba. The time I spent at the Sauvé House was a once-in-a-lifetime experience that I will always cherish. It affected my life both professionally and personally. The eight months I spent with the Sauvé Fellows – 12 individual from around the world – taught me not only about other countries and their cultures, but also about myself. The classes I took at McGill and the time I spent with students and activists in Montreal opened my eyes and views.